Ottawa-area animal rescuers are warning anyone looking to buy a "teacup" pig that while the pets might seem cute and cuddly at first, they won't stay that way forever. 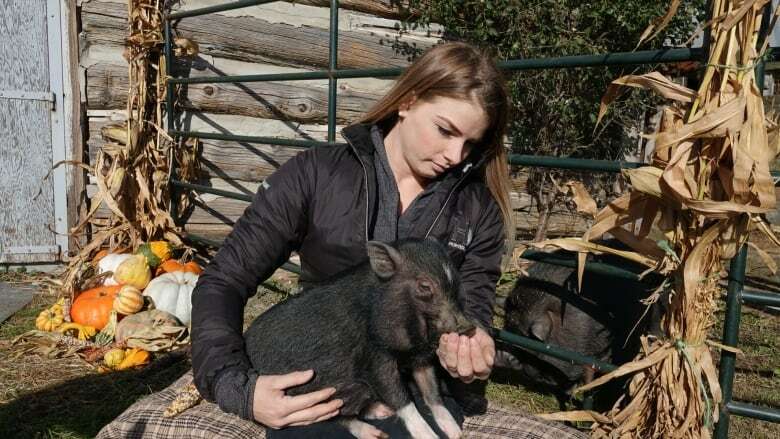 Ashli Hincke-Dodd has been providing refuge for unwanted pigs at her family's farm in Beckwith, Ont., for the past five years. She gets several requests a year to take in pigs that have grown much larger than their owners expected. "[A pig is] not a city animal," Hincke-Dodd said. "I think that if people want to have them as pets, that's great. [But] they need to understand that [pigs] need to have an outside option." She's housed seven pigs and found new homes for five. Hincke-Dodd still has a four-month-old piglet and six-year-old adult pig, painting a vivid before-and-after picture of the animals' growth potential. Hincke-Dodd said people buy a piglet thinking they'll stay small and easy to train, only to find out the hard way the animals can grow to nearly 100 kilograms. One of her rescued pigs once escaped into a cornfield and was found four weeks later looking more like a bathtub than a teacup. "He had tripled in size in one month," Hincke-Dodd said. "They grow and grow and grow." She said the only way to keep them small is by restricting their nourishment, which can cause the pigs to become aggressive. 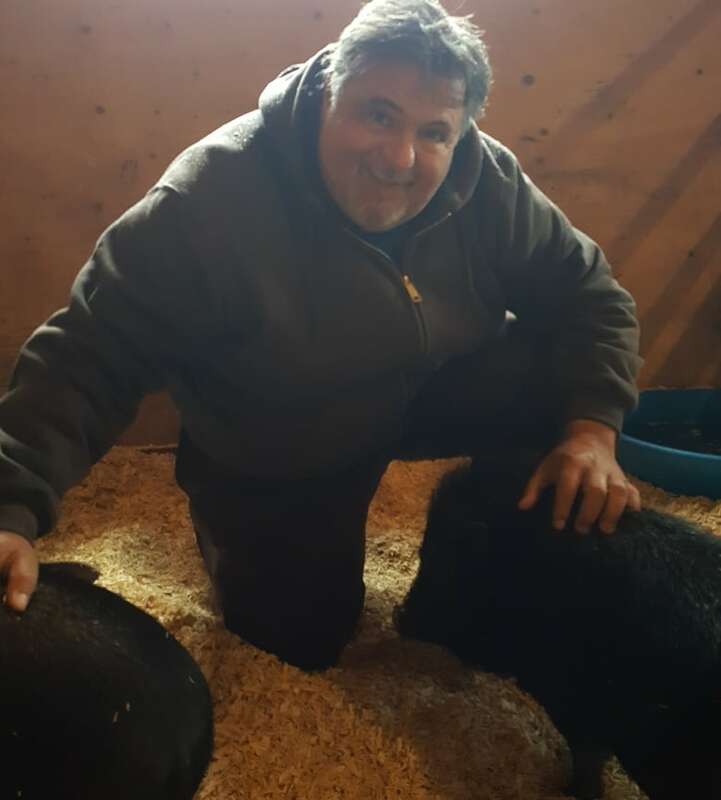 Big Sky Ranch Animal Sanctuary in Kemptville, Ont., has taken in dozens of unwanted pigs over more than a decade, something founder Randy Parent blames on the teacup pig fad. "Some people will actually tell you they'd prefer to have a pot-bellied pig over a dog," he said. "They don't realize that as [pigs] get older, the responsibility becomes much larger than actually owning your typical dog, and then they run into problems." Parent recounted the story of a Bells Corners resident who kept a pig on the second floor of a home. 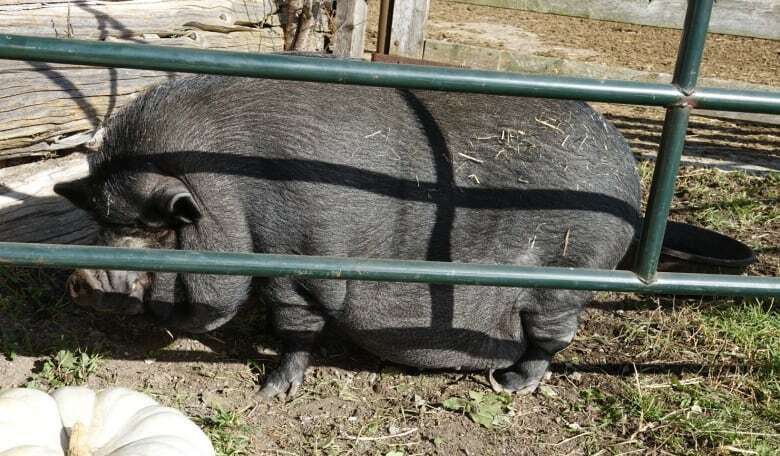 Parent was called in after the pig became angry when its owner tried to move it downstairs. The pigs at Parent's ranch come from all over, including Ottawa, Toronto, Cornwall and London, Ont. Sometimes he's able to find them homes on hobby farms. Parent compares buying a teacup piglet to buying a St. Bernard puppy. He said while pigs are intelligent, they come with their own set of problems. "They may be cute little animals, but you have to realize it's still a pig. They like to root and they like to dig,"
In Ottawa, pigs are considered livestock and are restricted under the animal care and control bylaw to agricultural areas. Anyone caught violating the bylaw can face a $615 fine, program manager of bylaw enforcement Jake Gravelle told CBC News. A similar bylaw exists in Kingston, Ont., where violators can face a $200 fine if swine are found in non-agricultural areas or on property under two hectares in area. Parent's advice for people who still really, really want a pig as a pet? Don't buy from a breeder, and give a home to a pig that's been abandoned. "There's so many animals out there that need a home now," Parent said.